I am organising a session for the Royal Geographical Society conference next summer. The call for papers is below. What lies beneath the ground is hidden and usually unrepresented but is vital for many spaces and practices occurring above. In these concealed and largely impenetrable subterranean spaces lurk unknown dangers and the possibilities for adventurous exploration; moreover they serve as potentially profitable resources, as engineering challenges to overcome, as risks to be mapped and managed, as a spring of spiritual well-being or the site of death and burial, as the source of artefacts of the human past to be recovered and conserved, and as a scientific record of geologic histories. The diversity of subterranean spaces, practices and cultures have attracted scholarly attention including concern for symbolic and multi-layered mythologies of representation (Rosalind Williams, David Pike), the strangely sublime nature of underground infrastructures like drains and ducts (Paul Dobraszczyk, Geoff Manaugh), the psychic anxieties of the unmappable underground (Steve Pile), the political economy and social ecology of subterranean facilities and flow (Matthew Gandy, Maria Kaika). Beyond the academy there is also burgeoning ‘amateur’ interest in charting the subterranean extent of cities (with substantial books documenting the arcane underground features of, for example, Liverpool, London, Manchester and Manhattan), along with obsessive collecting behaviour of enthusiasts mapping out all the tunnels and ‘lost’ stations, and recording war-time bunkers, emergency shelters and other forgotten subterranean heritage. On most topographic maps the representation of space stops at the ground level but there are many specialised geographic visualizations of the underground. Examples include colourful and cryptically labelled geological maps, complex engineering plans of tunnels and sewers, volumetric models, and profiles of strata employed in oil exploration and mineral extraction, geo-physical subsurface displays produced with reflected mapping of radar and sound waves penetrating the solid ground surface. We seek theoretically informed papers that consider how and why the underground has been mapped (and not mapped), relating characteristics of subterranean spaces to different forms of representational practice and visual culture. We got a lot of snow today. 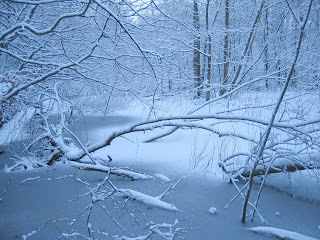 Here is an atmospheric picture I took of some woods near where I live. It was just a snap but I really like the light and feel captured in the image. 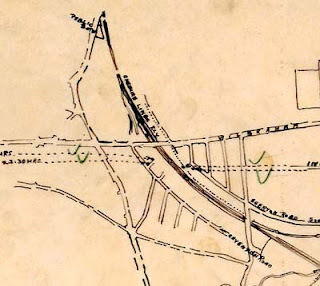 I recently applied for a Harley Research Fellowship in the history of cartography. I am very pleased to say I have been awarded a fellowship with funding to do a spell of archival research in London. 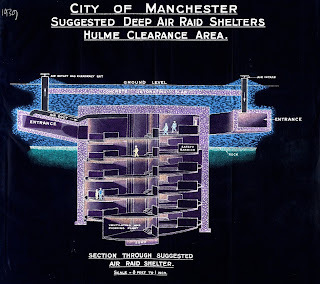 I am planning to do this sometime next summer and will be working primarily in The National Archives looking for mapping related to Second World War bombing of Manchester. 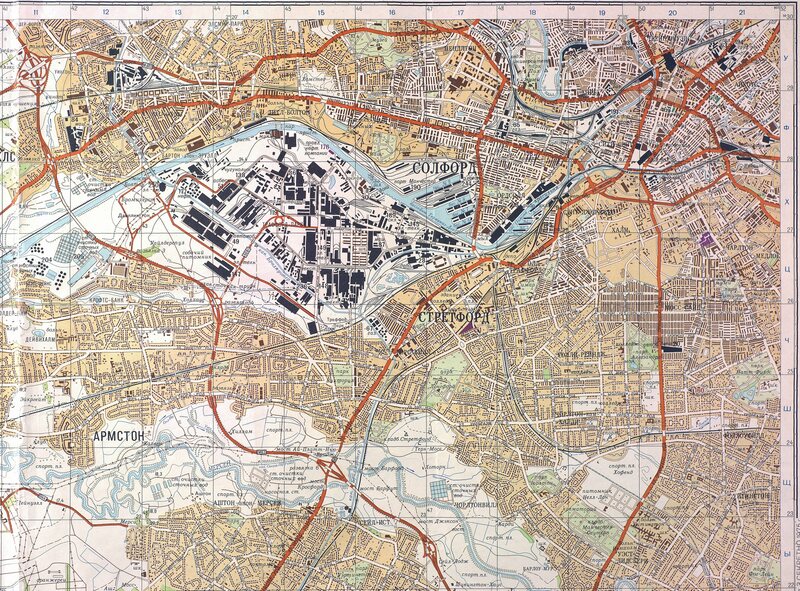 The title of my project is 'War Time Civilian Cartography: Investigating the Mapping of Manchester Before, During and After the Second World War'. The image above shows an example of a bomb census tracing. The Harley Fellowship is named in honour of the noted historical geographer and cartography scholar Brian Harley. I thought it was interesting that the Guardian newspaper felt compelled to post a clarification on access to the Soviet 'invasion' map in our Mapping Manchester exhibition. Apparently, their original story in August was misleading.